to insure the health of our cats. Our ragdoll cats & kittens are raised in our home in Woodbury Minnesota. We do confine our kittens for their safety until about 6 week of age. and interact with us and our cats. 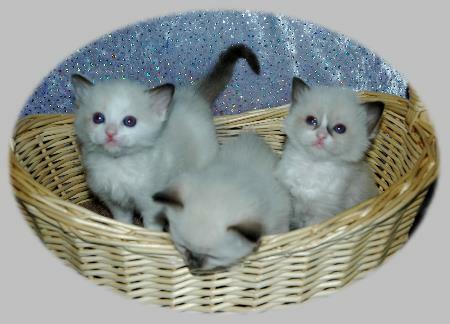 If you are looking to purchase a Ragdoll kitten please call or email us. pattern or what we are expecting in the near future. No kittens will be placed before 12 to 16 weeks of age. We require all pet kittens to be spay or neutered prior to placement. Our kittens will receive 2 sets of shots & veterinarian check prior to being placed. Our kittens come with a written health guarantee and kitten contract. We guarantee the kitten to be healthy and and free of parasites. You can be put on a waiting list for a future kitten. getting first choice. To reserve a kitten we require a $150 deposit.